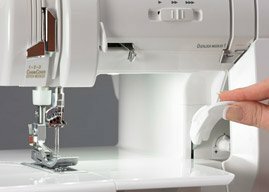 Let your creativity soar during National Sewing Month with a Baby Lock serger! 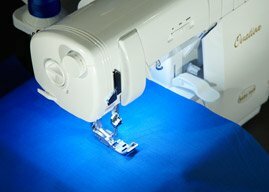 Not only do sergers complement your sewing room, but they give projects a finished and professional look. 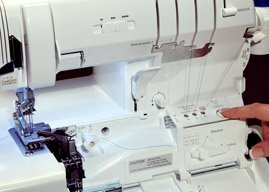 With exclusive features like Jet-Air Threading™ or ExtraordinAir™ Threading, you’ll spend more time creating, not threading your serger. 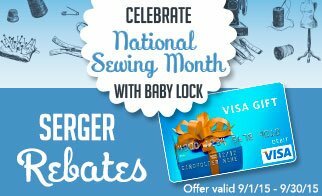 Purchase one of these Baby Lock sergers during National Sewing Month, and receive a rebate!